Desc: Landstrom's Black Hills Gold Rose Gold dangle earrings. 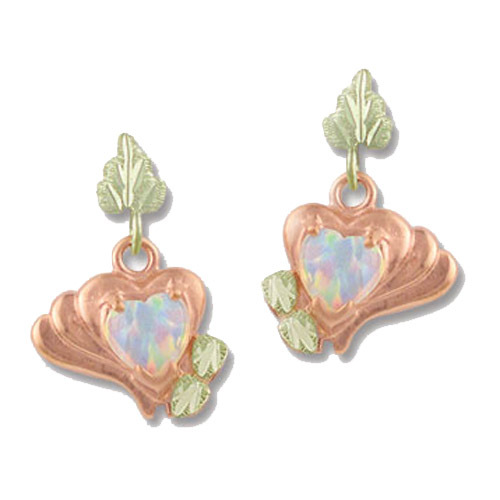 The Laboratory Created heart shaped Opal is bezel set in rose gold with green gold leaves all around. The earrings have bright polished finishes. Made in the United States of America.